“Laughter is most agreeable to everyone”, wrote Baldesar Castiglione. This exhibition aims firstly to amuse, and then to investigate this claim by exploring the connections made between comedy and the visual arts. New acquisitions for this exhibition include works by Callot, Van Vliet, Hogarth, Bunbury, Peter Blake, Gilbert & George and the Chapman brothers. Kent Print Collection Third Exhibition, curated by HA573 Print Collecting and Curating students. 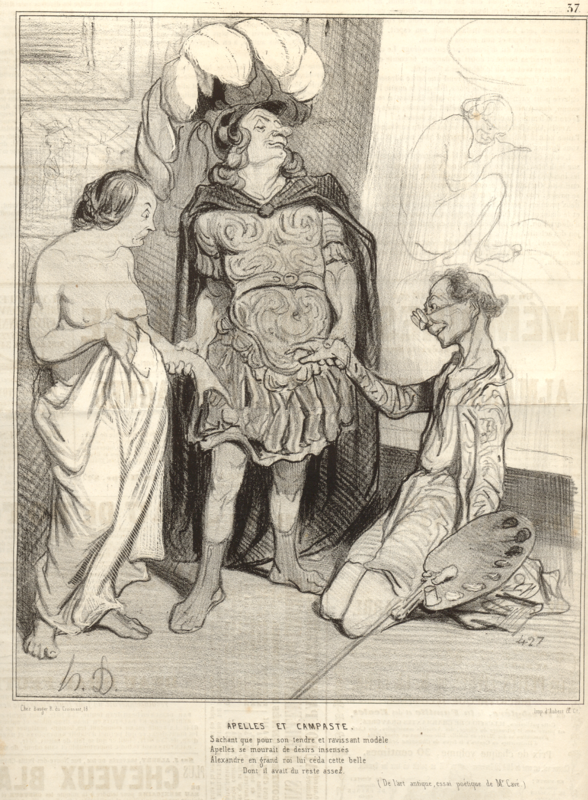 Image: Appeles and Campaspe, Honoré Daumier, 1842 – 43. Lithograph from Kent Print Collection.